Euro reached another target level. We think, today price may form consolidation channel near current maximum, leave it upwards, and then continue growing up to reach level of 1.4000. Later, in our opinion, instrument may consolidate and form correction towards level of 1.3900 and then move upwards to reach level of 1.4100. Pound is still forming ascending structure towards level of 1.6800. Right now, market is forming consolidation channel. We think, today price may leave it upwards and continue growing up towards above mentioned target. Later, in our opinion, instrument may return to level of 1.6700 and then continue growing up towards target at level of 1.7000. 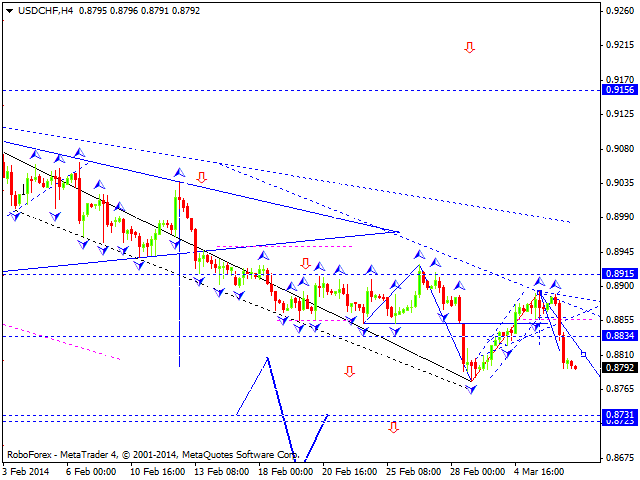 Franc continues falling down towards target at 0.8730. We think, today price may consolidate for a while near current levels and then start falling down towards above mentioned target. Later, in our opinion, instrument may form another consolidation channel and continue moving downwards to reach level of 0.8300. 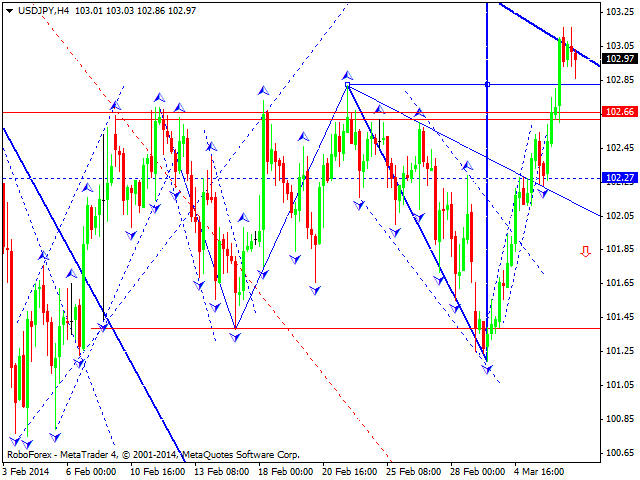 Yen continues forming ascending structure; market is forming consolidation channel. We think, today price may leave it upwards to reach level of 103.30, return to level of 102.80, and then start moving towards level of 104.40. 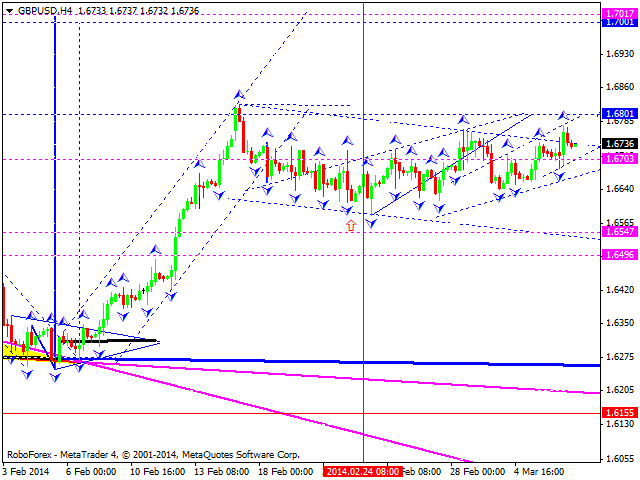 Australian Dollar is finishing ascending wave. 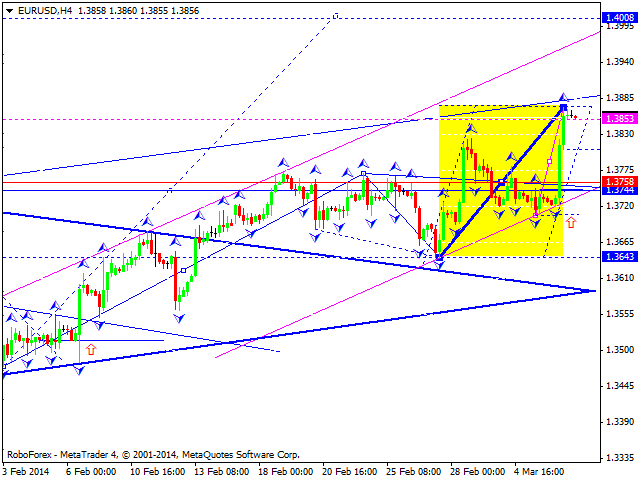 We think, today price may form consolidation channel and move upwards to reach level of 0.9114. 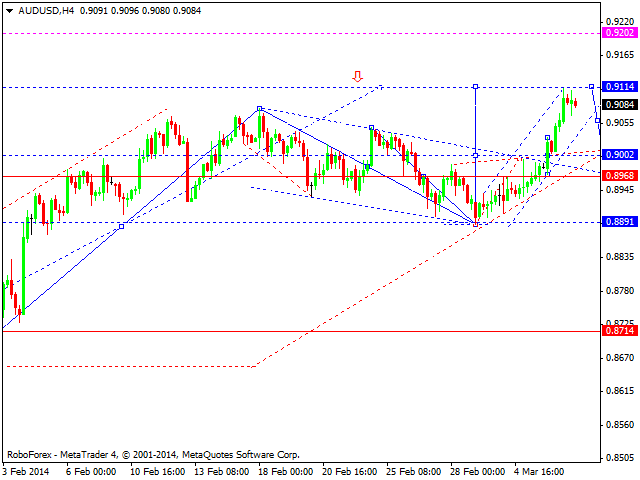 Later, in our opinion, instrument may form reversal pattern to continue moving downwards to reach target at 0.8400. Ruble is forming consolidation channel inside the third descending wave; market is forming of divergent triangle pattern. 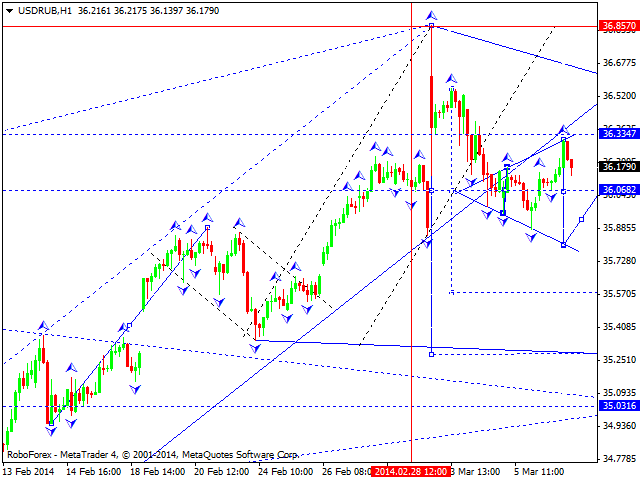 We think, today price may form the second half of the third wave with target at level of 35.58. Later, in our opinion, instrument may return to level of 36.06 and then form another the fifth wave to reach level of 35.28. Gold completed the first descending impulse and then formed ascending correctional structure. We think, today price may fall down and form double top pattern towards level of 1285. 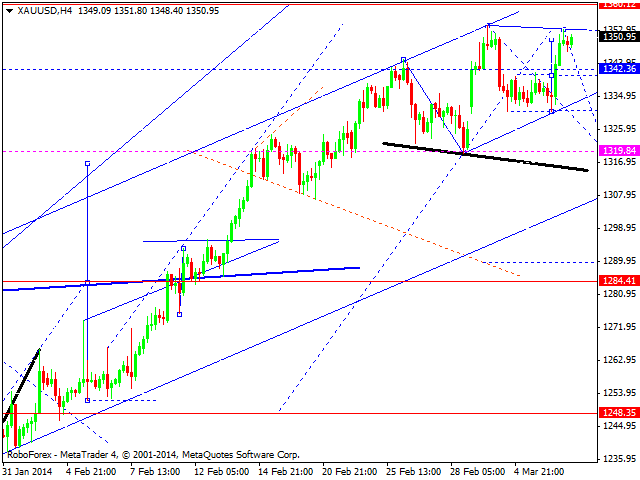 Later, in our opinion, instrument may start new ascending movement towards level of 1360.